Held annually, the University roadshow gives young Emiratis exclusive access to the most inspiring people working in space from across the world. Bringing these experts to address the youth from the UAE, the programme includes top academic institutions. 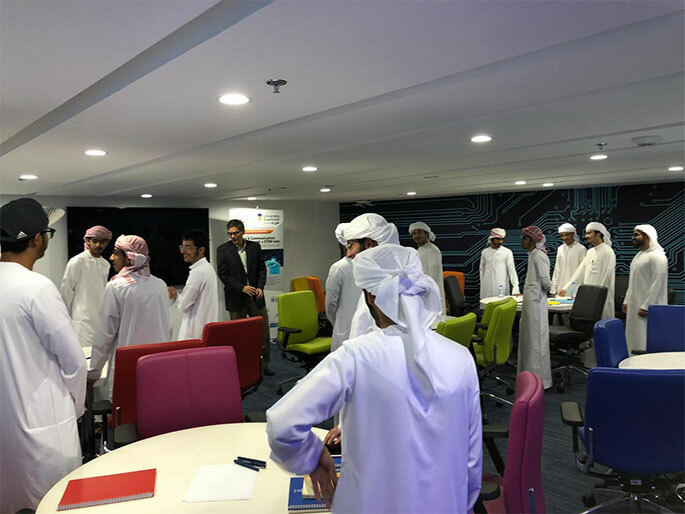 Workshops were conducted in September 2018 in partnership with the U.S. Embassy, Abu Dhabi and U.S. Consulate General, Dubai at the Innovation Lab, UAEU, Al Ain. The focal theme was “Science and Communication: Literacy through a STEM lens” and was facilitated by Simeon Brodsky, Director of Center for Talented Youth International at Johns Hopkins University. 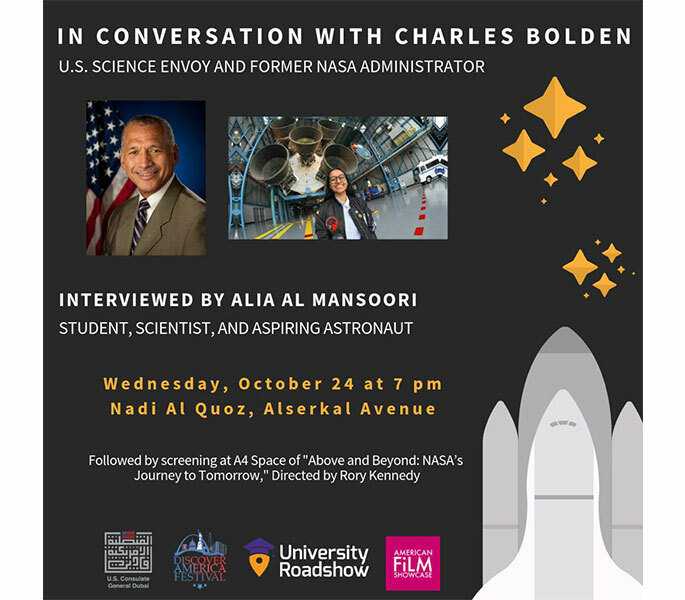 In October 2018, the young audience was invited to attend and be a part of ‘In Conversation With’ Charles Bolden, U.S. Science Envoy and former NASA Administrator who was interviewed by Alia Al Mansoori, student, scientist, and aspiring astronaut.